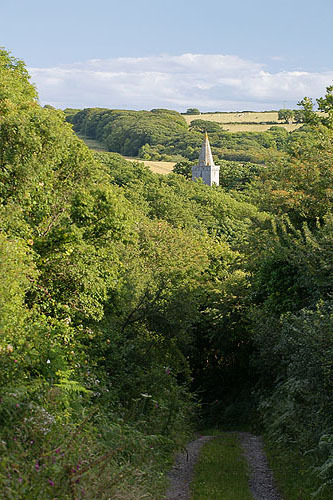 View down the lane to Pwllcrochan Church . Pwllcrochan has retained it's Welsh name in the heart of the Englishry. The nearby mudflats used to be a major Cockle - Oyster fishery.